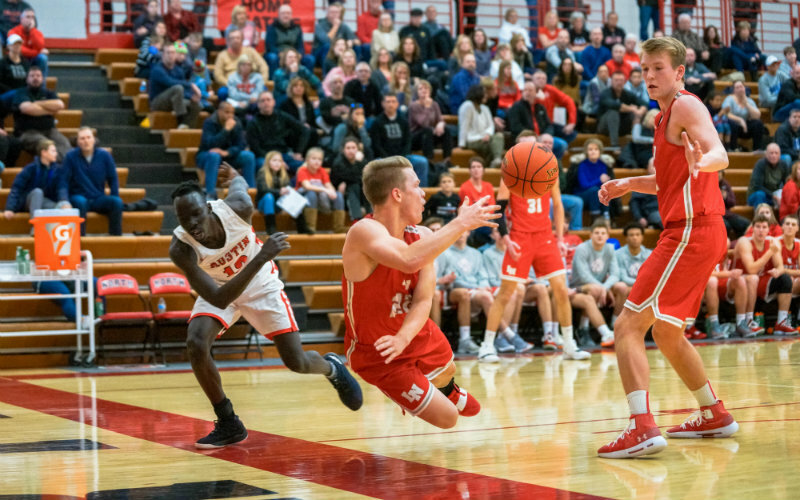 It was a close race, with Korey McDermott's image of Lakeville North's Tommy Jensen attempting to keep the ball in play on Dec. 29 against Austin being voted the MN Boys' Basketball Hub Photo of the Year. In the Panthers' 20-point win, Jensen registered 15 points. Korey's shot will compete to be the MN High School Hubs Photo of the Year at the end of the spring season. The MN Basketball Hub Photo of the Year poll is for entertainment purposes only. A summer of AAU basketball, working on skill development and playing against some of the nation's best, elevated his play to a dominating new level for the Royals.